Mount St. Mary wants to know what you are up to. Whether you have gotten married, had children, or changed location, share your news with us! Marcos Rodriguew '14 is in his 2nd year of nursing program at OCCC and currently a full time student while holding a part time job at Variety Care Clinics. 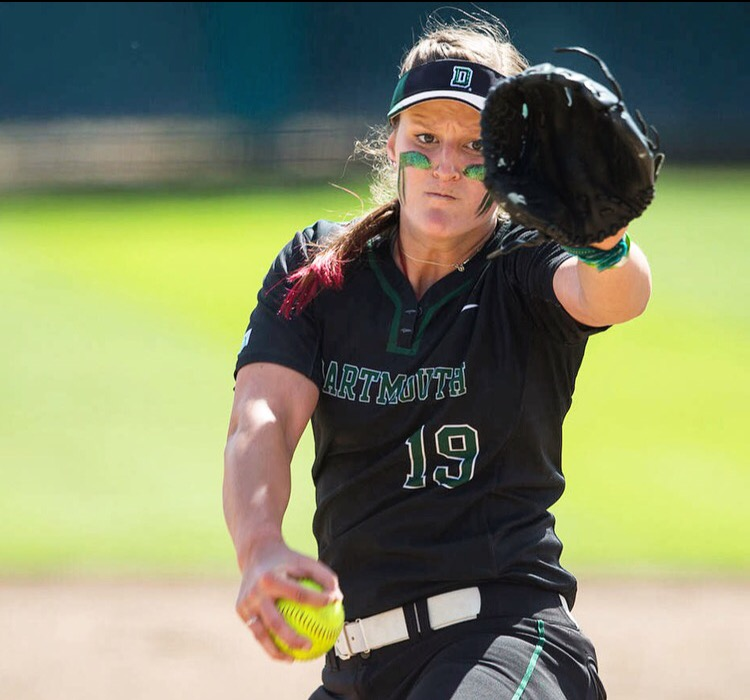 Morgan McCalmon '12 graduates from Dartmouth on 12 June. She has received a fellowship to Yale starting July1st and will be working with a team of clinicians in the Yale Child Study Center with a focus on kids with severe mental illness. 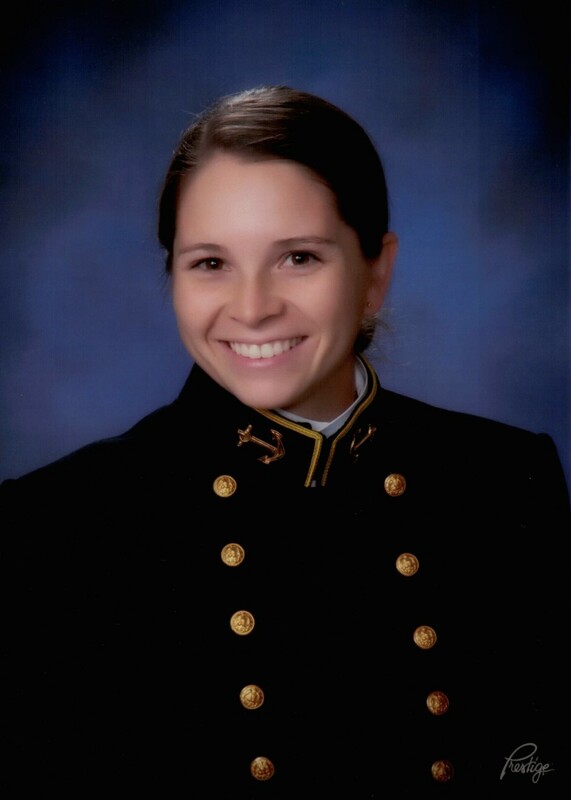 Jacqueline Kennedye'11 of Edmond, Okla. successfully completed four years of challenging academic, physical, and professional military training, graduating from the U.S. Naval Academy, May 27, with a Bachelor of Science degree in English and a commission as a U.S. Navy Ensign. Her first duty station will be in Pensacola, Fla. where she will train as a U.S. Naval Aviator (Pilot). Jacqueline is a 3rd generation Mount St. Mary Alumni.the daughter of Dr. James Kennedye'87 and Cristy (Wise) Kennedye'87, grand daughter of Marian (Flanagan) Keef '67. 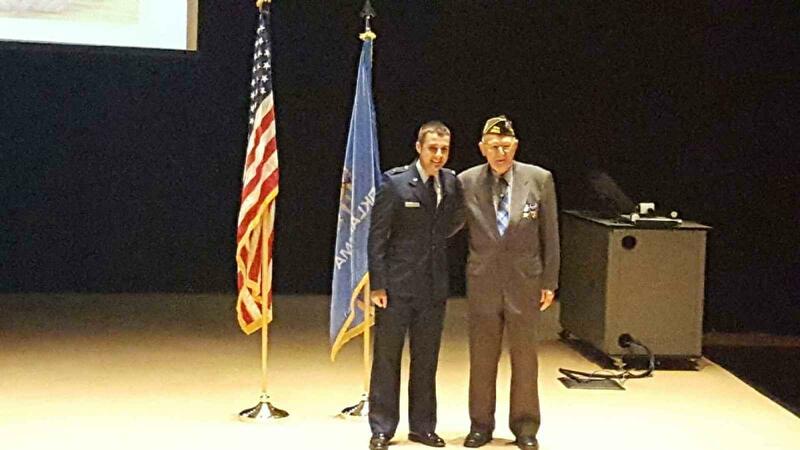 Ryan Santa-Pinter's first salute from his WWII Grandfather, a decorated Veteran. 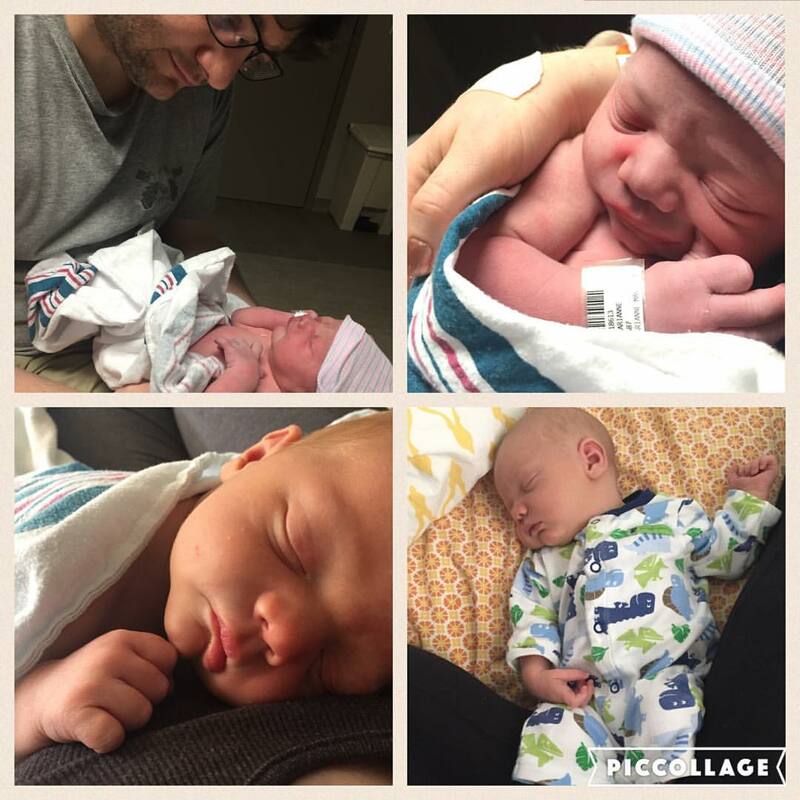 Rebecca Denny '11 and Ryan Muniz welcomed Alexander Muniz on April 15, 2015. Congratulations! Victor Rodriquez '10 Is employed with Variety Care Clinics of Oklahoma City. 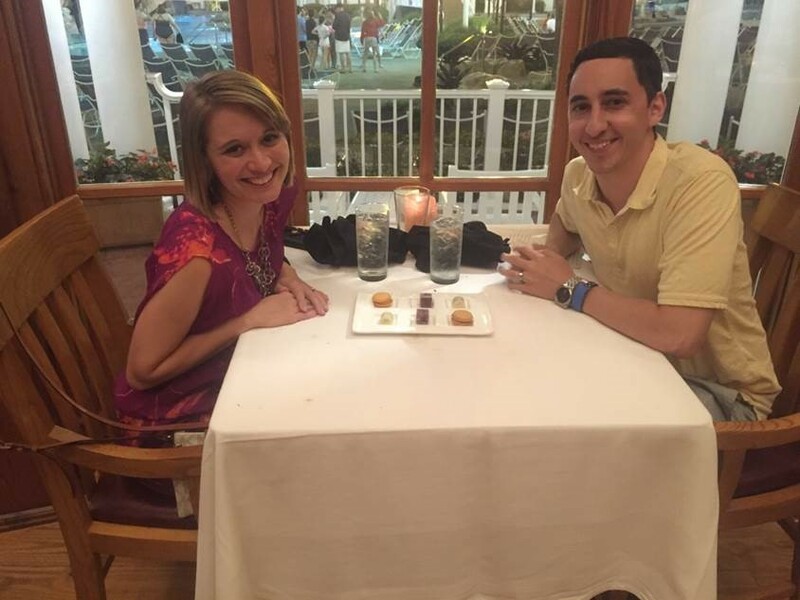 Joe and Liz'08 (Armstrong) Nixon Living the good life in Florida working for Disney. Corbin ’07 & Marianne Pickens ’08 Hosler Welcomed their first child,Benjamin Ray Hosler. He was Born on May 6 at 2:51 pm. 7 lbs. 9 ounces and 21” long. Congratulations! Dr. Patrick "PJ" '07 & Karen Aguilar '09 Kennedye welcomed their 2nd child into the world, Phoebe. Big brother, Peter, couldn't be more proud of his little sister born on 2/4/2016. Zachary Wilkey'04 married Nikki Flowers on April 16, 2016. Congratulations to the happy couple. Becky Finsel '96 Morris was named Middle School Teacher of the Year in Bethany. Congratulations Becky for being named as one of the top teachers in Bethany. Daniel Cook '91 & Emily Cook Commander Daniel Cook, United States Navy SEABEE ,combat veteran war on terror, was recently selected for promotion to Captain. Please join me in congratulating a great American "Dan The Man" Cook (and his family )for this significant milestone in his 25 year career as a Naval Officer. Aimee Potter '94 and Steve Bococh welcomed daughter Brynlee on March 10, 2016 into the world, Phoebe. Sandra –Archer, Longo: is retired along with her husband Fred. He was in the Air Force when they met and married and have traveled the world. Raised 5 wonderful children and now have 15 grandchildren and 8 great grandchildren. Sandra’s favorite memoriy is the pep squad , the rocket room the fun we all shared at the dances, homecoming, plays and talent show. Oh and of course the nuns that put up with us and our antics and the courses we took to help us succeed in our journey in life.